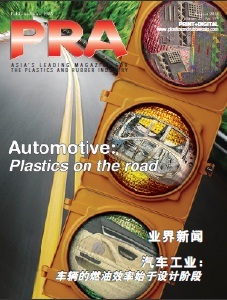 Switzerland’s Maag, a manufacturer of gear pumps, pelletising systems, filtration systems and pulverisers for use in the plastics, chemical, pharmaceutical and food industries, has opened two new facilities that will serve the Chinese market. 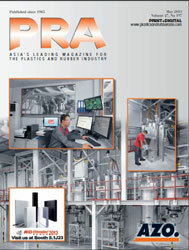 The first is a new 4,000 sq m facility in the Jiading District of Shanghai. Maag says this larger, more spacious facility will help it better showcase its portfolio of pelletizer, gear pump and pulveriser products to its customers in this market, as well as highlight the capabilities of its Gala and RE Scheer brands. The facility will include production for Maag’s pumps and pelletisers as well as offices for its sales, service and after sales support. The new facility currently houses 80 employees and features the largest rotor-regrinding centre in China, with the ability to process up to 2,000 rotors per year. With this, Maag says it will be able to offer better, more complete service and solutions to its customers. To unveil the new facility, an Open House was held for its customers and the local business community recently. Among those attending were Ueli Thuerig, President of Maag and Paul Merich, Vice President and General Manager of Maag in Greater China. The second facility is a brand-new rotor-regrinding centre in the city of Guangzhou, which will introduce Maag’s rotor-regrinding services to its large client base in the south of China. 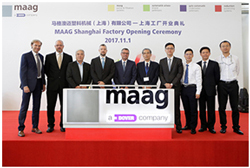 Maag says the rotor-regrinding centre will offer the same high level of quality and service as that found in the Shanghai facility and its other grinding centres around the world. In addition, an applications/technical lab is being set up at the facility, which will allow hands-on demonstrations of all Maag products, including those from Maag, Gala and RE Scheer. Finally, the facility will be home to a new sales office for the region.